I ended up spending all of Wednesday at home which meant that I got to finish doing a lot of things that I’ve been behind on, one of the was crafting. I’ve been behind on making cards and this was the perfect time to get caught up! I’ve had a bunch of scraps sitting on my desk for a while and this was the perfect opportunity to use them up. This entry was posted on February 26, 2012 by debbe. 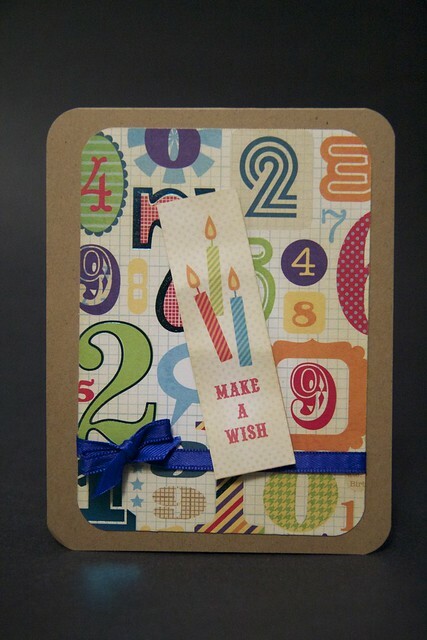 It was filed under 365, craft and was tagged with 365, birthday card, card making, crafting, silhouette. The numbers in the back are fun! !